When the solution is simple, God is answering. I believe it was a smart man named Albert Einstein who said that. For me, it was my daughter Cheryl who came up with a solution to my problem. If she has not, I would probably be dead today or have a quality of life so low it wouldn’t matter if I was alive. She shifted from foot to foot as she figured out how to tell me what she needed to tell me. I never took my eyes off her face. Fall is cross-country running season. That doesn’t mean that you run across America. Cross-country just means running outdoors, usually 3.1 miles. It is very different from running indoors. When doing cross-country, you can find yourself running through grass, over a log, and in the rain, with your shoes squishing through mud. I didn’t know any of this when I ran my first race. It was September 1982, and I sixty-seven years old. I didn’t care whether I won the race or not. I didn’t care whether I survived it or not. The only reason I was in. The only reason I was in it was to satisfy my youngest daughter, Cheryl. I was a few short years away from my seventieth birthday, and I didn’t feel like I needed to be on guard anymore, like I had to try to protect my sons from the evils of the street. I was supposed to be living a life of ease during my retirement. I was supposed to be secure in the fact that my children were going to be just fine. I had watch over them when they needed me to there, and now they would take care of themselves, right? Wrong. Two of them were brutally murdered, leaving me to wonder what I could have done differently so that they would have made better choices. As I grappled with the loss. It occurred to me that no parent is ever really safe. We can never really relax and let out guard down, can we? I was retired and no longer an employee of any company, so there was no way for me to lose myself in my work after the tragedies by doing every minute of overtime that I could get my hands on. I tried to remember the agony of losing my mother many years ago and how I got through that. If I could remember the way I got through that pain, would it save me now? There were no answers, and my thoughts just went round and round. I had known a lot of people who had passed on, but thinking about how I managed to move on after those losses did not help me at all. As much as I loved all of those people, I did not give birth to them. This was different. This was some type of hell that I couldn’t come to grips with. It seemed like every time I close my eyes, I saw one of both of my boys. They were babies in their carriages, which I pushed through the streets of Harlem. The they were toddlers, the three of us in a homeless shelter until I could find us a home. Then they were running for exercise at the armory, competing with each other and laughing real loud and free. They were sitting in church with me as I warned them not to squirm. Grown-up Donald drawing remarkable good portraits of people, places, and moods. Grown-up Charles at the store, stirring pots while the aroma of the food he was cooking wafted around the room. Both of them dancing in the living room while their sisters looked on, happy that their older brothers were having a good time. When Cheryl showed up at my door on the day of the race, I told her to forget the plan because I didn’t have any sneakers. She pulled a pair out of her bag. She had come with two pairs of sneakers! The look on her face told me that she had come prepared for every objection that I might make. It never dawned on her that I might not be able to run 3.1 miles (about sixty-two city blocks) and finish the race. Cheryl probably couldn’t afford to let herself think like that because she was determined to save my life. The race was called the Big Red 5K Mini Run, and it was being held in Brooklyn, New York. Big Red was a black newspaper, and they managed to get more than two hundred to run. There were many people aged from fifteen to sixty. I was the oldest and probably most reluctant participant. But I ran that first race for my daughter. Just so she would stop looking so worried and scared. I ran, not knowing what was waiting for me at the end of the road, just as my parents, Osborne and Mary Potter had done when they left the island of Anegada for America, way back when. 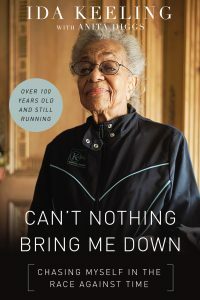 This post is an excerpt from Can’t Nothing Bring Me Down by Ida Keeling. 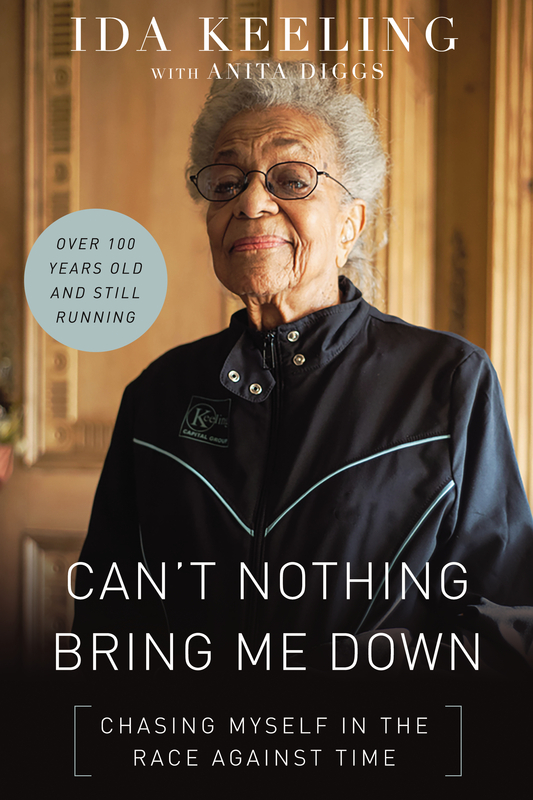 102-year-old Ida Potter Keeling is a mother, activist and runner. Miss Ida, as she is known in her community, grew up the child of immigrants during the Depression. She began working to help provide for her family at age 12. 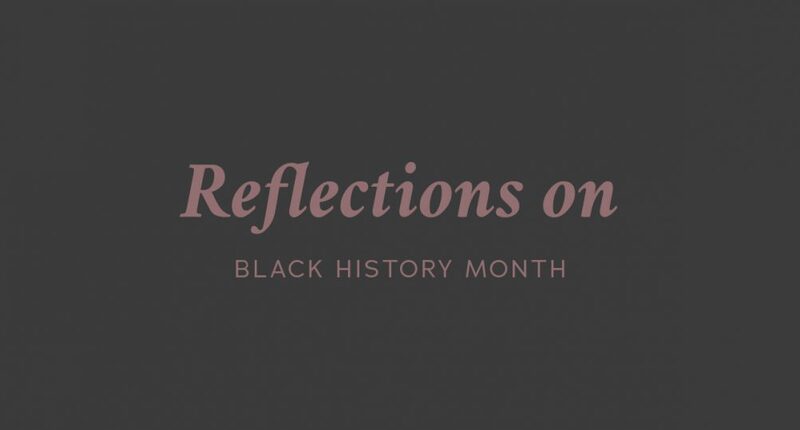 After her husband passed, she raised her four children alone while serving as an active member in the Civil Rights movement. She started running at 67 years old to chase away the grief following the murders of her two sons. Today, Ida is a world record holder for the 60-meter dash in the 95-99 age group, the 100-meter dash for the 100-104 age group, and continues to set new records with each race. She lives in Harlem, New York.